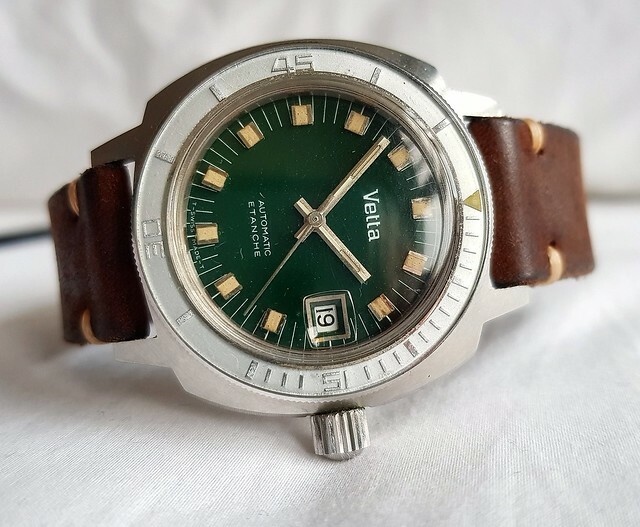 Up for sale, is this Vetta Submarine from mid sixties. It's very likely that you haven't seen another one of these, as they are extremely rare. 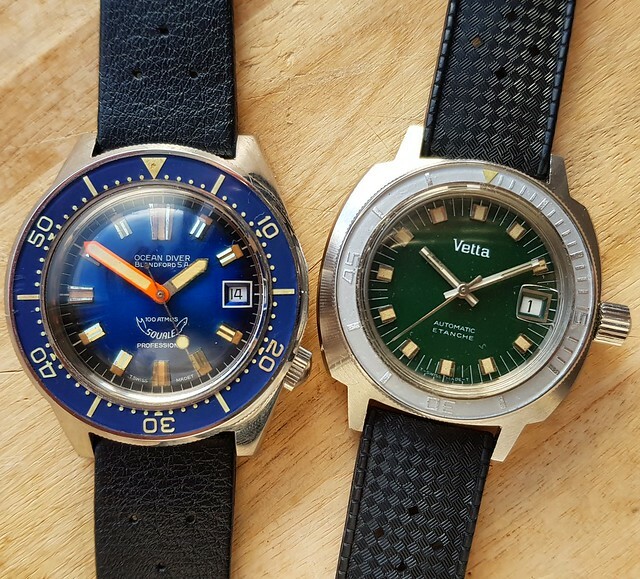 And how often do you see a green dial on a vintage diver? 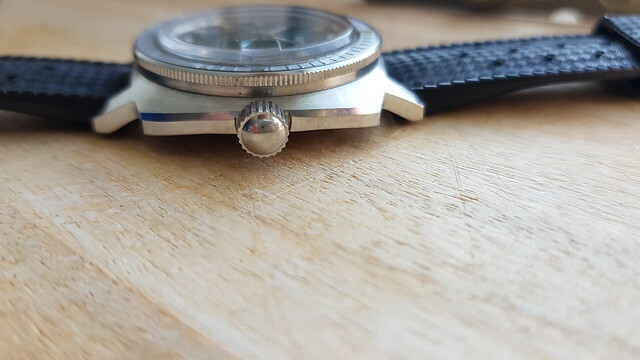 Along with the light grey acrylic bezel and big screw down crown, it has all the ingredients for a marvelous and cool vintage diver. I've owned it for years now, but it's just laying around inside the safe... There must be someone out here who can show it some more love than I do. The condition is fantastic. The case is razor sharp, with all of its factoryfinish still intact. 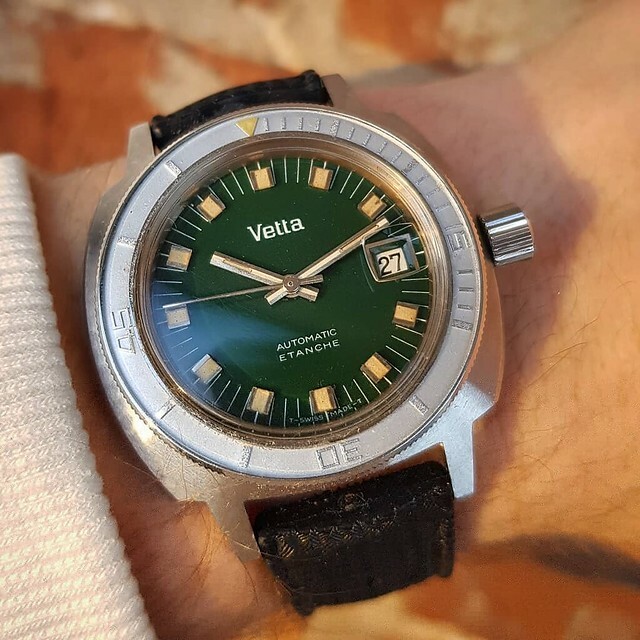 The dial is perfect, with lovely patinated tritium. The hands are perfect as well. 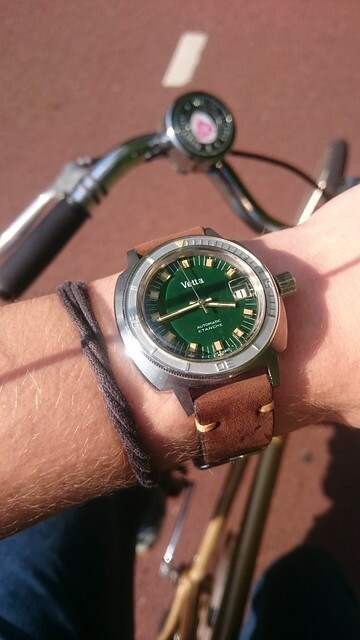 The bright green colour of the dial is simply amazing. The tritium on the dial complements it perfectly. The screwdown crown works like it should and the movement runs fine. It has been serviced in my possession I believe, but it's some time ago. Therefor I cannot say anything on how it runs. It ran fine when I stashed it inside the safe. 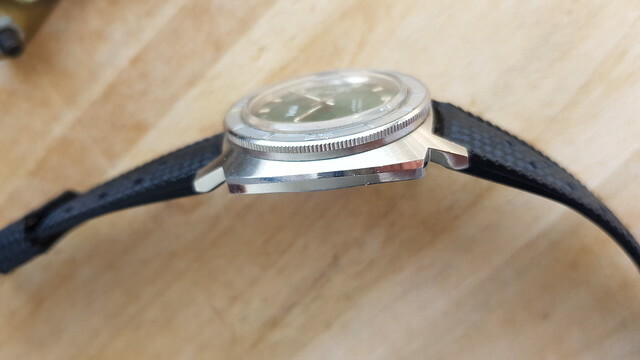 It rocks a vintage suede leather strap. 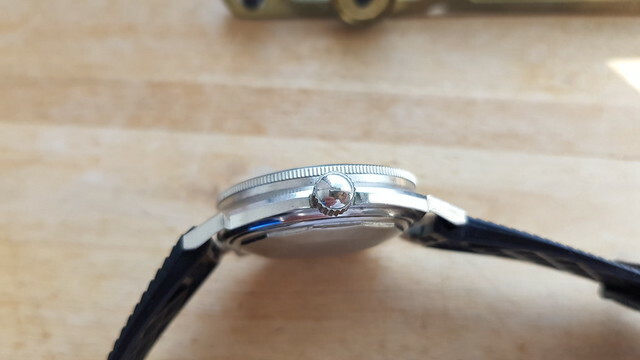 It measures 40mm excluding crown and 19mm lugs. The case is fully stainless steel. 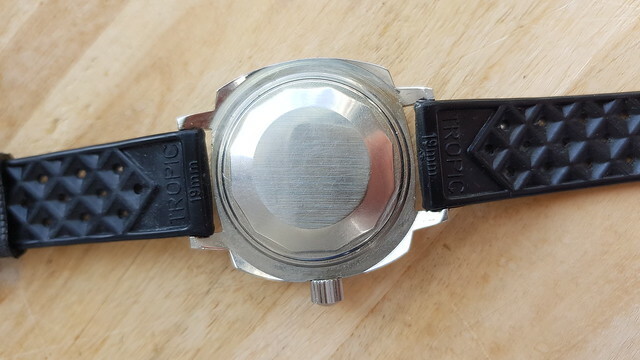 The movement and caseback are Vetta signed as well (I don't have pictures of it atm, since I can't find the correct tool to open it here). Note: the Tropic strap is not included. I would like to get EU 800 for it, including insured international shipping by PostNL. I live in Amsterdam. The watch can be picked up as well. For any questions or troubles with viewing the pictures, please let me know. More high-res pics are available.